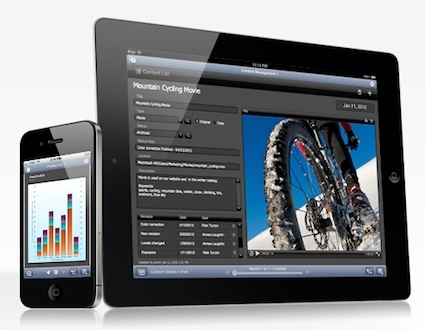 FileMaker Pro Fans… FMPro 12 available for the iPad at no charge! 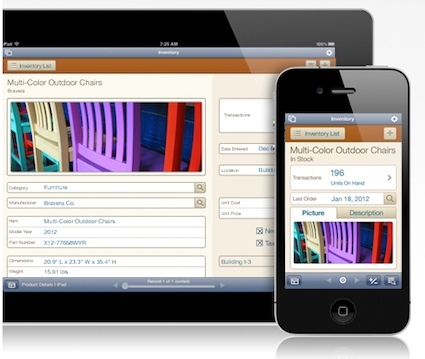 There is a new version of FileMaker Pro for your desktop, servers and iPad/iPhones. The folks at FileMaker has changed their business model by allowing us to take our FileMaker Pro databases with us. While the feature was supported before for a completely mobile access to our data, now we get to have that capability at no charge!! For us, this means our events participants management apps that are FileMaker based can be used by more employees on the floor at no extra charge. It means that the POS system we wrote can now have sales people each have their own mobile access… without an extra charge to our customers for the extra points around the store. For our home users, it means every family member can have access to data when at home, at school or on the road. Of course, the plan for FileMaker is to sell more desktop and server software, since the iPad FileMaker Pro 12 is free, it is like getting a discount on the software since we don’t have an added expense for each mobile license. – Multitasking support — When you return to your database app from other apps, FileMaker Go picks up right where you left off. – Improved media integration — Record video or audio from your iPad and add it directly to a container field. Play back media directly from FileMaker Go. – Export data in multiple formats — Export your data from FileMaker Go in several new formats including Excel, CSV, TAB, or HTML files. – Enhanced container fields — When hosting databases on FileMaker Server 12, instantly stream movies and music from your device without any data storage limit concerns. -Connect to databases hosted on FileMaker Server 12 or FileMaker Pro 12 via a local wireless network or over Wi-Fi or 3G. All changes are automatically updated in the hosted file. -Copy your databases between your desktop or laptop and FileMaker Go using File Sharing in iTunes. -Download databases sent via email and open in FileMaker Go.